Find out more about wolves and the role they play in the ecosystem. Help save wolves from being slaughtered. Help save wolves from senseless slaughter. Enables Defenders of Wildlife to fight in court to keep vital federal protections for wolves in the Greater Yellowstone and Northern Rockies region. A short interactive course about wolves. Hit “Next” to move along. Actress and activist Ashley Judd lends her voice to a new video from Defenders of Wildlife calling on President Obama to take action to stop Idaho’s deadly wolf hunt. 24-hour old Red Wolf pups born to exhibit pair at the Chattanooga Nature Center on April 3. Perhaps these pups will one day live in the wild on Alligator River National Wildlife Refuge or other part of eastern North Carolina? Print out and color this gray wolf, and learn some simple facts. For younger learners. Find out how to draw a wolf in ten steps! This free online animal-drawing tutorial will teach you some of an artist’s best tricks in a matter of minutes. There’s so much to know about wolves – where they live, how they communicate, what they eat. Let’s learn more about wolves! This organization also offers wolf country learning vacations. For centuries, wolves have been characterized as bloodthirsty beasts, tormentors of ranchers and the bane of helpless livestock. 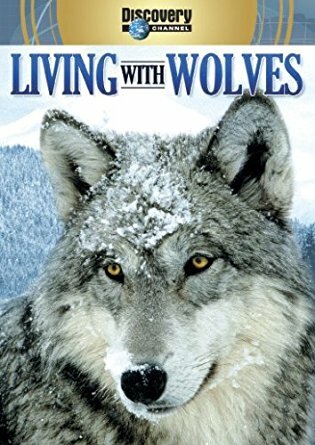 Determined to overcome this misconception, filmmakers Jamie and Jim Dutcher – creators of the Emmy-winning Wolves at Our Door – spent six years in a tented camp in the wilderness of Idaho, living with a pack of wolves, listening to them and earning their trust. Learn wolf lingo. Learn what different postures mean. Learn about the species wolves eat. Myth #1: Wolves attack people. Myth #2: Wolves are eating all the elk. Myth #3: Wolves are killing all the sheep and cattle. Wolves help ecosystems. Here’s how. They run in packs, stalk their prey, and howl at the moon. And no matter where you are–they’re always lurking somewhere nearby. Wolves, the predatory puppy dogs of the wild, are feared and loved by people everywhere. But are they misunderstood? 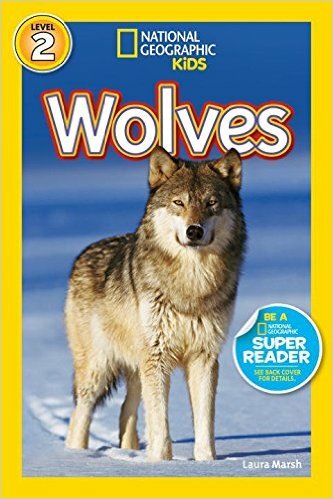 In this fascinating level 2 reader, you’ll learn that there’s much more to being a wolf than most people could ever believe. Did you know that each pack has a pecking order? That wolves can “talk” to each other using body language? Or that they’re actually not out to attack humans, they usually leave people well enough alone? Full of incredible photographs and interesting information, NGR Wolves will appeal to all kids. Young wolves spent a lot of time attacking and wrestling each other playfully, helping them learn hunting skills that they’ll need later on. Have you ever heard a wolf howl in the wild? Not many people have. Once, the haunting sound of wolves echoed throughout North America. Three hundred years ago, somewhere betweeen 3,000-5,000 wolves roamed all over Wisconsin. Examine your perceptions, thoughts and feelings about wolves and the origins of your knowledge about wolves. Some links go to lesson plans and worksheets for a full class about wolves. A good number of photos of wolves. This course for teens was developed by the International Wolf Center to promote awareness about wolves and foster an interest in learning more about them. During this course, you will become familiar with a variety of tools that researchers use to study wolves. Wolf research enables humans to better understand wolf behavior, ecology and conservation. Over millions of years wolves have evolved into highly intelligent animals with a successful social structure that enables them to live and hunt in family groups called packs. This arrangement allows wolves to hunt larger animals than a single wolf, hunting alone, would be able to do. This family unit also promotes greater survival of their young. Wolf Haven also gives education programs in Arizona, California and Oregon as well as Washington State. The genus Canis includes wolves, coyotes, jackals, and the domestic dogs. In the midwestern U.S. at least three members of the genus are found in sites that date from the last Ice Age. These three members are the dire wolf (Canis dirus), the gray wolf (Canis lupus) and the coyote (Canis latrans). From Wolf Song of Alaska. Here is a list of popular stories about wolves. Each story gives the wolf a bad name. Visit the library and read as many of these stories as you can find. Then describe what’s wrong with the way the wolf is portrayed in each story. This an more activity ideas. When these eight newborn wolf pups were found two summers ago huddled together in a den in Yellowstone, biologists were elated. The pups were the first gray wolves born in the region since the 1920s–the last time wild wolves roamed the national park.